Realization of an online media dashboard for the Operational Centre of the Red Cross in Manilla. The dashboard displays real-time flood information in the Philippines based on data from Twitter to target aid operations, plan logistics and organize financing. FloodTags is currently fully operational at the Philippine Red Cross. Citizens and communities in Philippines are affected by floods each year. On average the Philipines Red Cross registers 20 floods in 80 different areas in the country. To respond to the floods effectively, disaster managers need to know how the people are affected. 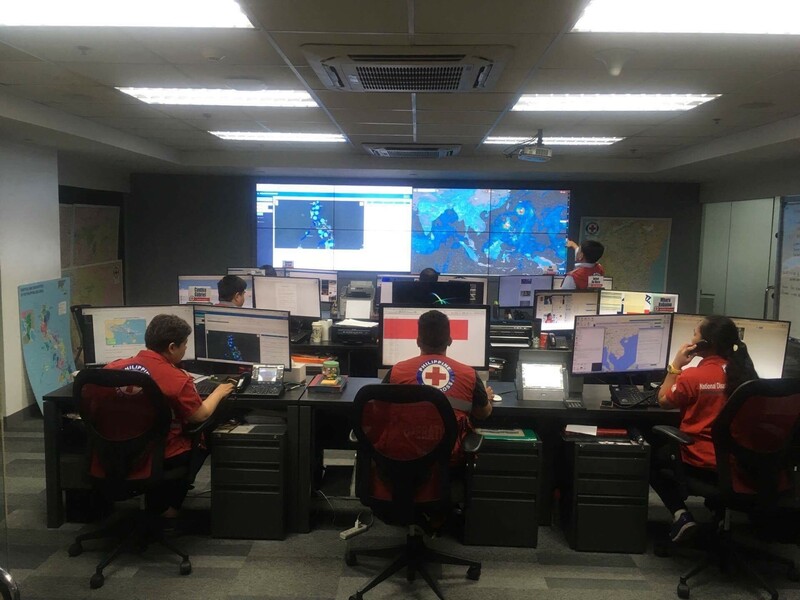 Red Cross is able to detect floods earlier: Before, it could take a long time for a new event to be identified, hours to sometimes even days. This while the country is very large and many flood incidents occur. With FloodTags they can now detect new flood within seconds or minutes. Red Cross is able to get better and more frequent updates on the situation on-the-ground (this is called situational awareness): Before, the Red Cross received information from their volunteers each 8 hours (in addition to their people scanning the internet manually). By using online media, FloodTags produces real-time custom reports that are updated each ten minutes. By combining the data with a digital elevation model, FloodTags also shows an indication of the flood extent and flood impact. With this new information, the PRC is able to anticipate more quickly and geographically more precise, based on more facts from the ground. This makes decision making on the logistics and resources management more efficient (which involves 102 chapters of the Red Cross and 2 million volunteers on the ground, spread throughout the country). The project was winner of the prestigious Challenge Fund of the Worldbank and partially financed by Dutch Partners For Water. Partners in the project are the Red Cross Climate Centre (RCCC), Deltares, VU University Amsterdam and Radboud University Nijmegen. "FloodTags is a big help for us, especially for the fast-tracking of non-passable areas and damages"